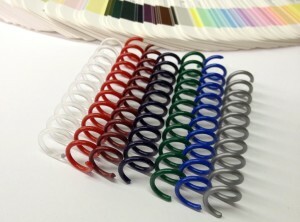 We had someone open a chat the other day to ask what is PMS color of our red plastic binding coils. For those who do not know about that acronym in the design, duplication and reprographics world, it stands for Pantone Matching System – a universally adopted color matching system mostly for printing inks. To be perfectly honest, I cannot remember the last time this question came up – usually, we just send out free color swatch samples for customers to evaluate. 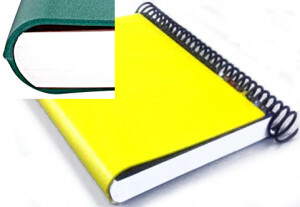 While the colors for most booklet binding supplies are not really matched to standard PMS colors, we’re not going to let that stop us from helping to answer a customer’s question. I broke out my trusty PMS swatch book from my graphic designer days and found the closest PMS color matches listed below for our standard color binding coils. 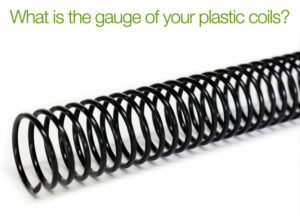 Do you need a specific color matched coil? Perhaps our custom color coils may be just what you’re looking for. Reach out to us for free samples anytime.